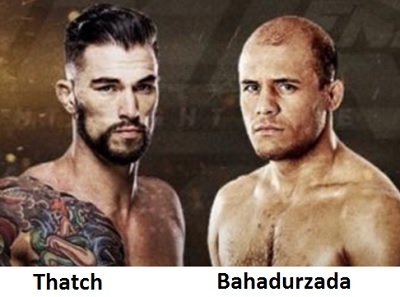 Bahadurzada will fight Thatch on March 5th in Las Vegas. Afghan MMA (Mixed Martial Arts) fighter Siyar Bahadurzada was scheduled to fight American Brandon Thatch on February 21st as part of UFC (Ultimate Fighting Championship) Fight Night 82 in Pittsburgh, Pennsylvania. According to an official statement posted on the company’s website, the Welterweight fight has been moved to March 5th in Las Vegas, and is now part of UFC 196 – Dos Anjos vs. McGregor. According to the UFC statement, the fight was moved because Thatch was unable to get clearance from the Pennsylvania State Athletic Commission on some medication he was taking. The medication is permitted under the UFC/USADA, WADA and Nevada State Athletic Commission anti-doping rules, and Thatch has already filed the necessary paperwork, per the official UFC statement. Bahadurzada is taking the delay in his fight well. He posted on his Facebook page that, “It [is] a great historic event and I am very excited to be on this card.” MMA fans know that the fight is historic because Conor McGregor, who is the current Featherweight champion, has gone up in weight and has decided to take on Rafael dos Anjos, the current Lightweight champion. If McGregor wins the fight, he will be the first person ever in UFC history to hold a belt in two separate weight classes at the same time. The bad news is that Bahadurzada’s fight is now part of the Pay-Per-View main fight card, so Bahadurzada fan’s will now have to pay if they want to watch his fight. The previous fight scheduled on February 21st was a free fight.